It is without a doubt very hard to understand the potential of your wardrobe on your own. But, the game changes as soon as you bring in a personal stylist to assist you with the various processes involved which helps look the best version of your own self! A personal stylist has the expertise and knowledge to identify your personal taste and work things out in accordance. Instead of imposing their own opinions, they will be able to personalize the experience to the fullest by offering you the best combinations, tips, and advice on how to dress up in order to look the best in the crowd. Long gone the time when personal stylists were only meant for the top strata of the society. With the advent of game-changers such as Quasar, it is possible for a vast majority of masses to enjoy the luxury of having a personal stylist. Stylist now are very affordable. You too can feel like a celebrity and hire a stylist to game your dressing game and make you look on point each time you step out! It is important that you know what a personal stylist can do for you. There are a lot of things that you might not know and it is where a stylist comes in handy! In the following list, we have curated a glimpse of what a personal stylist can assist you with. Here are a few hacks which one can only get from a personal stylist. How do we know them all? Any guesses? Secret Revealed- we had a one on one with the head stylist from Quasar! Take a look and know what they said! 1. The little details matter! One advice which every personal stylist will agree on is not to overlook the little details. Putting on a plain white shirt will blend you right back with zillion others who have put on the same white shirt. A crisp white shirt is a fantastic element for your wardrobe, but it is always better to have a white shirt with a twist involved. Perhaps a certain zing added to the collars or maybe the buttons stitched up with colorful threading will add a subtle yet effective amount of uniqueness to your look. You can further add on badges and some funky yet personalized accessories to make your white shirt look the most fashionable thing on this planet. Sure! You can keep a check of time on your phones. But putting on a gorgeous wristwatch is much more than simply keeping time. It is one of the most critical accessories which any individual should heavily invest in. Putting on the right wristwatch differentiates you from the league.. Different looks will have different wristwatches to go along with it. One must certainly own a collection of timepieces which could be worn with different looks at an eclectic range of occasions. When it comes to watches, don’t shy away from making a solid investment. They are a sure shot game changers and we are sure about it! Try it yourself. If you have an old shirt lying around which has lost its flair, use it, as it has become the most amazing fashion statement in your wardrobe now! How? Read on to know what the stylist at Quasar has explained! What a lot of people fail to recognize is the rugged and vintage look which a shirt gains over time. Put it on over a t-shirt with the buttons undone. The girls can even tie it up by the waist to get a stylish look. This is one of the ultimate hacks which a personal stylist can suggest and can be applied on a day to day basis Gone are those days when we used to wear everything just perfect. It is the time and age of all things rugged and vintage. Stroll up your old cloth pile and take out your rugged, vintage looking tees and shirts to have that funky yet stylish to another level look! People know about the disaster which washing can do to our beloved pieces of clothing. They shrink! The washing machine can turn out to be an evil enemy for clothes. Here’s a fun fact which a lot of people are unaware of but stylist at Quasar are well versed with. Washing clothes shrink them right? The reverse is true as well. If you steam or even iron a piece of clothing which is made out of cotton, the heat makes the fibers expand to its original size. Once you wear it, the fibers will mold the cloth into your original size. Boom! You have your darling piece back. Fret not! A ripped shirt does not mean the end of the world. We had an opportunity of grabbing this superb advice from the stylists at Quasar. It is in fact quite simple to remedy this simple problem. Get hold of a safety pin and pin it up from inside. Now the fix is literally invisible to the world and you are good to go! This tactic can be used in cases of buttons which have fallen out, or a pair of jeans which has started to fall apart. One of the most critical aspects of wearing clothes properly is to ensure an excellent fit. Now, achieving this, in reality, is no easy feat. But, with consulting the proper stylists like the ones at Quasar, one will be able to understand the wits behind creating the illusion of a perfect fit. Here’s a glimpse into the magic trick. Layering your clothing is one of the most important aspects to craft out the build of your body. While you throw on a jacket, compliment it with a lovely waistcoat. If you are wearing a bomber of dark color, throw in a lighter colored t-shirt to bring out the contrast and give your body some definition. There you have it! With the help of personal stylists from Quasar, the potential which your wardrobe consists of shall increase dramatically. The options which shall be available to you with the consultation of a personal stylist are simply immense and well thought of. . Therefore get started with booking your very own personal stylist and refresh your wardrobe for a brand new look and feel, tailored made just for you! 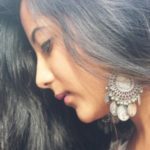 Previous articleTanushree Dutta-Nana Patekar Controversy! Next articleBooks VS Movies: Who Do You Think Will Win?